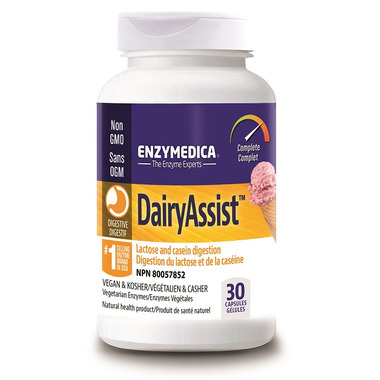 Enzymedica DairyAssist is a dual-action formula that combines lactase to aid in the digestion of lactose, and protease, which helps break down casein. Complete dairy digestion may naturally reduce discomforts associated with lactose intolerance. Dosage: Take 1 capsule with each meal containing dairy. More may be taken as needed. Contains no: egg, dairy, preservatives, salt sucrose, soy, wheat, yeast, nuts, corn, gluten, casein, potato, rice, artificial, colors or flavors. 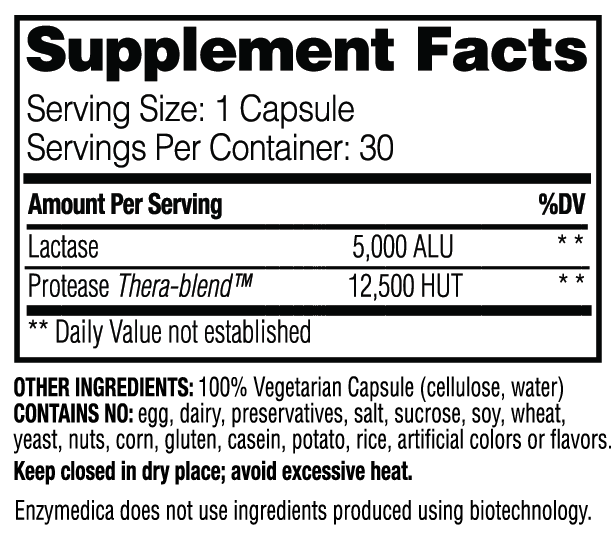 Very good as an add on to other digestive enzymes.